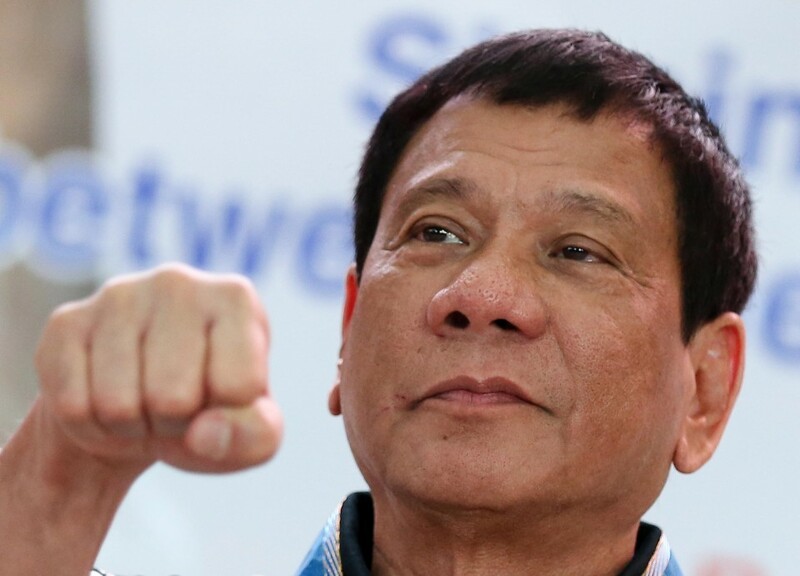 Despite protests over the death of 17-year-old Kian delos Santos, President Duterte has again told police they are allowed to kill “idiots” who resist arrest. The statement came just two days after the funeral of the teenager became a protest against the drug war. However, he added that “murder and homicide and unlawful killings” were not allowed. Police had to uphold the rule of law while carrying out their duties, he said. Widespread opposition to the war on drugs followed the killing of Delos Santos. Witness statements, CCTV footage and autopsy reports all pointed to his death being an extra-judicial killing by undercover officers. Despite footage showing the youngster being frogmarched into an alley, the officers said Delos Santos fought it out. They said that the body of the right-handed teenager was holding a gun in its left hand. However, a later autopsy failed to find any evidence it had been fired by Delos Santos. The cause of death was recorded as three shots to the head. More than 1,000 people joined a funeral procession on Saturday, turning it into one of the biggest protests yet against the president’s campaign. The president met the parents of the schoolboy at the presidential palace in Manila today. His mother told reporters that the he vowed to bring the case to justice without delay.